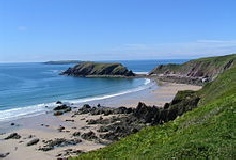 The communities of Marloes and St Brides (population 323 in 2001) are situated west of Haverfordwest on a peninsula on the southern shore of St Brides Bay, within the Pembrokeshire Coast National Park. 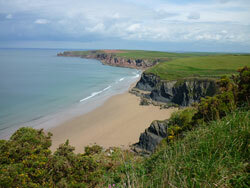 Marloes itself is a small village perched in the high land in the centre of the Marloes peninsula. It is usually pronounced “Mar-lows” but locals often say "Marlas". The name appears to derive from Old Welsh mail = "bare" and ros = "moor" or "promontory", identical to Melrose in Scotland. 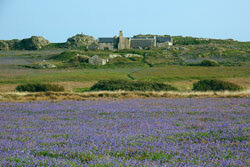 The residents of Marloes have traditionally been known as “GULLS” - based on the the tradition of harvesting gulls eggs from Skomer. 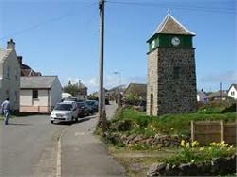 In the centre of Marloes is the well known landmark - the Clock Tower. 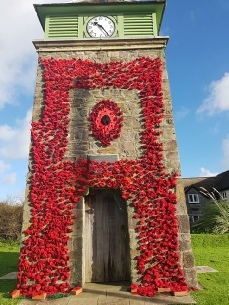 This was built in 1904 by members of the Pembrokeshire Liberal Association as a memorial to the 4th Baron Kensington. For more information click HERE. 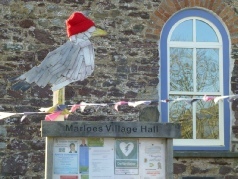 An interesting poem about Marloes written in 1927 can be read here “Marloes Village”. 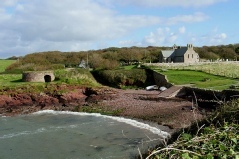 St Brides comprises a number of scattered farms and dwellings, with a delightful old church situated behind St Brides Haven, a sandy cove on the north coast of the peninsula. 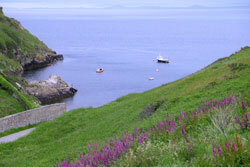 The picturesque St Brides Castle (a Holiday Property Bond property) overlooks the haven. Details of local services such as accommodation, restaurants, bus services and the shop can be found by following links to on the left of the page or from the menus above. 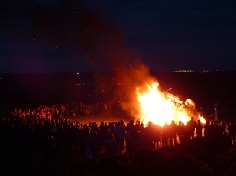 For more on the traditions and culture of the area have a look at the TRADITIONS AND CULTURE page. 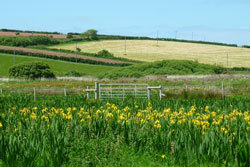 For more on the history of the area look at the HISTORY page. Takeaway hot food, deli rolls and drinks. The Post Office is open when the shop is open, for a full range of PO services. Please see our facebook page marloesvillagestoreandbeachhutcafe for opening times and up to date information. 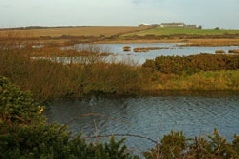 The pump house, containing a very interesting and rare Tangye pump engine, is located at St Brides Haven (SA62 3AJ), close to St Bridget’s Church.